Mobile Bingo Bonuses are here to introduce you to a site which is not only visually impressive, but brings the sleek and responsive pages you would normally expect from the top casinos, called Extraspel. With an incredible range of casino and slot games such as the featured favourites Starburst, Gonzo’s Quest and South Park you’ve got hours of entertainment ahead of you. Add in the fact that many of the games are available on your mobile devices, which means that you can play when and wherever you like. All you need is an iPhone, Android or Tablet device and those boring daily chores and commutes to work just got much more exciting. Registering is a quick and easy process on Extraspel and when you’re a new player, you’ll receive 20 bonus spins. This is a welcome from the site and the perfect way for you to test drive the games without spending a penny of your own money. 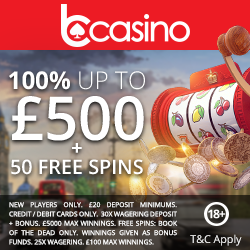 At the point you’re ready to make your 1st deposit you can enjoy a 100% cash match bonus between £10 and £200. 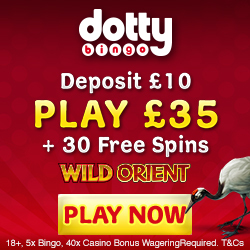 This means that you’re basically doubling your money and if you were to deposit the maximum £200, you’ll walk away with a whopping £400 to play with. For those of you who enjoy live tournaments, then check out Extraspel who give away huge prizes to players based on bets placed, points earned or wins. Extraspel will even share the bonus love with you, when you tell your mates about the site. When you refer your friends, they register and deposit a minimum £25, you’ll receive £25 bonus credit. To thank their loyal players Extraspel offer a reward point’s programme from the moment you register, where to earn points you simply keep playing. For every £20 you wager you’ll receive 1 point, which can be redeemed for bonus cash. Within their VIP Scheme the reward points you collect will move you through the 7 levels of the VIP ladder; which include New Member, Bronze, Silver, Gold, Platinum, Premium and Prestige; each offering bigger and better bonuses. We would always recommend that you check out the terms and conditions of the programme. If you require any additional support or assistance then you can contact Extraspel via telephone, fax, live chat, email or through their extensive FAQ section. Extraspel accept the usual banking methods including Credit and Debit cards, Neteller, Skrill, U Kash, Trustly and Paysafe Card. So if you’re ready to play this impressive gaming site, then simply register with Extraspel and claim your 20 bonus spins.